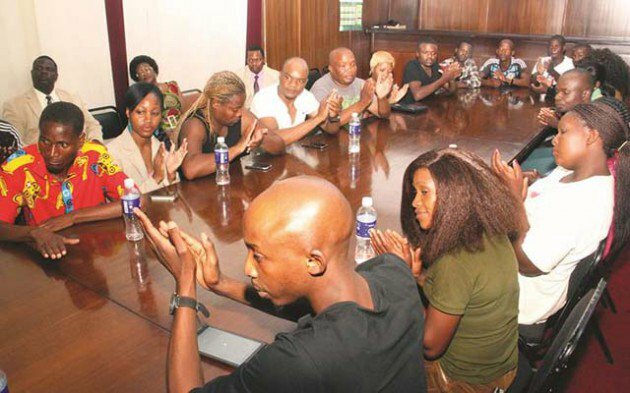 More than 20 National People’s Party (NPP) Harare provincial youth league members on Wednesday rejoined Zanu-PF, saying Operation Restore Legacy executed by the Zimbabwe Defence Forces (ZDF) had brought the revolutionary party back to its founding principles. NPP is led by former Vice President Dr Joice Mujuru. The youths renounced their membership of NPP at Zanu-PF Headquarters before the revolutionary party’s national Commissar Cde Victor Matemadanda and Secretary for Youth Affairs Cde Pupurai Togarepi. In their statement, the youths said: “We strongly believe in and adhere to the founding values of the liberation struggle. These were discarded when Zanu-PF was captured by the former First Lady (Dr) Grace Mugabe and her G40 cabal. “It was in defence of the revolutionary legacy that we stood by Mai Mujuru, the former Vice President of Zimbabwe when she was ill treated by the former First Lady. The youths urged Dr Mujuru to retrace her footsteps and find a common ground with her comrades in Zanu-PF. Cde Matemadanda welcomed the youths and commended them for rejoining the revolutionary party. He said unlike his predecessor Mr Saviour Kasukuwere, who always received reports of party members’ expulsion with uncontrolled excitement, he welcomed all people in Zanu-PF.